In the WCW landscape, there was so many things wrong over the year that it's hard to really remember highlights, but one thing that stands out is certainly the Cruiserweight division. 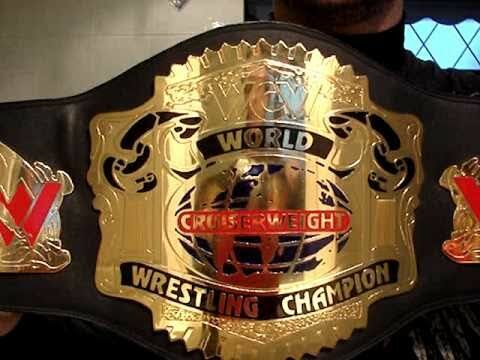 From its inception, it would feature many of the best wrestlers from all around the world, who weren't going to get a fighting shot at the WCW Heavyweight Championship. What I loved the most about this era was the high flying and exhibition of technical prowess and skill. Every wrestler was special in their own right, even the most unknown guys would go out and perform amazingly. The biggest variable of the Cruiserweight division had to be the intense feuds. I would watch these feuds and matches excitedly week in and week out, looking forward to those segments more than any Sting, NWO, or Luger segment. It was apparent that the Cruiserweight division was miles ahead, and even the underrated Cruiserweight wrestlers would outshine the main guys. With the epic feuds between some of the top Cruiserweight wrestlers being vital to the success of WCW and the wrestling world period, today I'm talking the best WCW Cruiserweight feuds in the history of the company. Let's get into it. *Ultimo Dragon vs Rey Mysterio Jr.
-Probably one of the more under appreciated feuds of the division, as two of the most integral parts of the division went back and forth in multiple matches throughout 1996. Dragon was racking up championships and both men were in their prime so to speak. Their match at World War 3 in 1996 remains my favorite between the two and they had immense chemistry in the ring. -This was truly one of the funniest feuds ever. Jericho was coming into his own as a performer and was perfect as this wimpy heel picking on all the Mexican Cruiserweight wrestlers and trying to take a mask from Juventud. Juvi Juice (as he was called) would lose his mask to Jericho and Jericho would reign as the Cruiserweight Champion and a truly vile heel. *Eddie Guerrero vs Rey Mysterio Jr.
-This was an epic feud and I think the best culmination ever in WCW history. Halloween Havoc 97 is one of the oddest PPVs in general, but it is home to the epic match between Rey and Eddie. Rey would feud with Eddie over the years in general, but the real intense beginning came in WCW, where it seemed like Eddie was hellbent on capturing Rey's mask along with keeping the Cruiserweight Title. *Psychosis vs Rey Mysterio Jr.
-One of the more slept on rivalries in WCW history and also ECW history, these two had what I feel was the best Rey Mysterio match in his WCW run at the Bash At the Beach 1996 PPV. These two were integral parts of the Cruiserweight division in WCW and their feud is one of the best in WCW Cruiserweight history. *Dean Malenko vs Rey Mysterio Jr.
-I want to credit this feud with really awakening the division in general. Great American Bash 1996 was one of my first times seeing both men perform and what a contest it was. During 1996, these two would put on some great matches and the intensity they both brought was enough to earn a spot on this list. Classic feud. *Chris Jericho vs Rey Mysterio Jr.
-Jericho and Mysterio are two of the most important Cruiserweight wrestlers in history. As Jericho was coming into his own, his feud with Rey was great and their work at WCW Souled Out 1998 was truly slept on. They always have had good chemistry and this was where it began. Their Bash At the Beach match was also pretty good as well. -This is the ultimate. Hands down. Everything from Jericho saying he's the man of 1,004 holds to Malenko popping up as Ciclope to one of the biggest ovations EVER in wrestling history to defeat Jericho for the belt. This is masterful storytelling, great progression and just all around entertaining television. When I look back at all the feuds in WCW for the Cruiserweight division, there is none more vital than this one. Period. Do you see any feuds missing? I thought to include Kidman vs Mysterio, but it didn't have the same effect I felt as the others and there was Juventud involved in that as well off and on, so it's hard to pin down as a one on one feud. 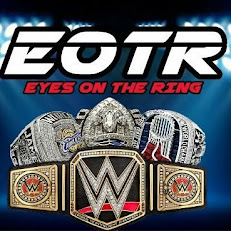 Over the years, the Cruiserweight division has seen many feuds, I just hope I've been able to capture the best for our readers at EOTR.